I know that on Thursday I usually post a recipe. Well this week, I didn't have the time to get a recipe ready to share with you all. That doesn't mean that I wasn't cooking or baking, in fact I have done quite a bit this week. All my cooking and baking have been in preparation for our local farmer's market. 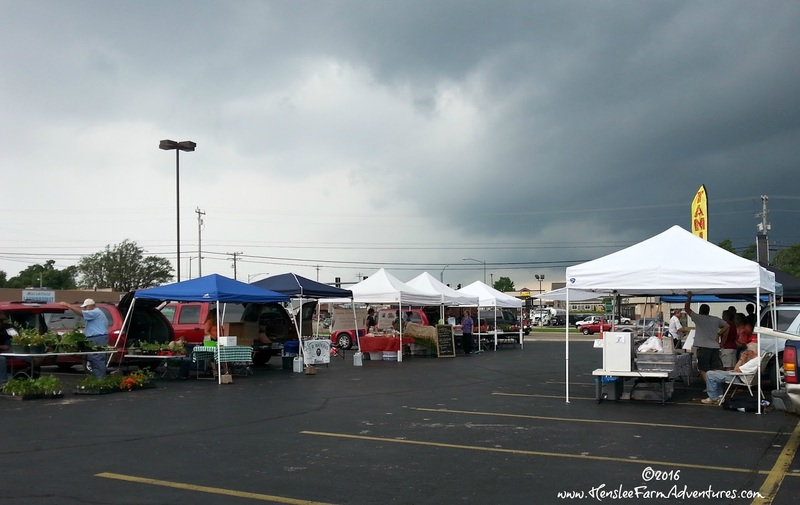 I have been an avid fan/shopper of our local farmer's market for over five years. In that time you get to know the vendors, you know the quality of their food and produce. I absolutely love when the farmer's market opens and I try to go every week. At the very least I try to get there every other week. Well this year, I have decided to take a leap and become a vendor myself. I am excited and scared all at the same time. This has been a dream of mine for a long time. I have wanted to make things and sell them, but I have always thought up excuses as to why I couldn't. 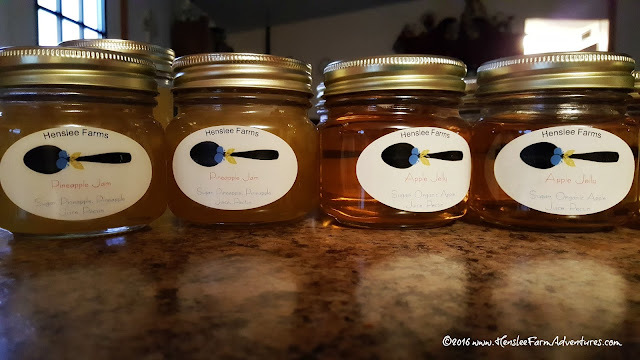 Jams and Jellies I will be selling at my local farmer's market. I was talking to a friend of mine who is great at motivating me and giving me pep talks. She talked about how to first have faith. No matter what God will take care of us if only we will believe. She also told me that if I never try, I will never know if I can succeed. She is absolutely right! I thought I would share with you the reasons why you should go to your local farmer's market. Some of you probably have, but maybe there are a few who never have. 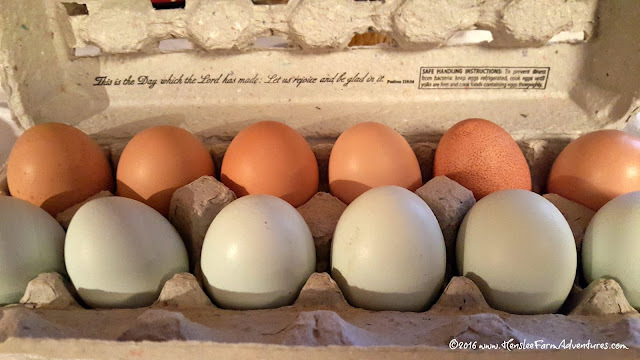 Eggs are a popular item at the farmer's market. So here are my 7 reasons why you should go to your local farmer's market. The food that you buy at the farmer's market is fresh! It hasn't been picked before it's ripe, to sit on a truck as it travels across country, only to sit (again!) on the shelf for who knows how long! If it is baked goods, you know it has been baked within the last 24 hours. You also get to try new things that you might not even see at a regular grocery store. In fact I can't wait to get some more of the apple wood smoked salt one of the vendors sell. It is amazing! I love knowing where my food comes from. I love knowing that my food comes from a farm that is only a few miles down the road. I love knowing that the produce was picked less than 24 hours from the time that I purchase it. What to know where the food comes from? Ask questions, ask about the farm and their farming practices. They love to share that information with you, and then you will see the value in the items you buy. Vendors are very knowledgeable about their product, they have to be. I got in on a conversation one year about pest control. One shopper was asking the grower what kind of insecticide he used. The answer? He doesn't! At least not a chemically based insecticide. That was music to my ears. But then he went on to give the buyer some options of how to take care of pests naturally. So have if you have a question, ask it! They are more than happy to answer. This is so important! I am supporting local farmers. This money is going straight into my local economy, right back into my home town. I want my town to flurish and I want those small (read non-corporate) farms to prosper. The vendors at the farmer's market are some of the most wonderful people that I have met! I love talking to them and getting to know them. The best part, is that they all seem like a big happy family. I have not heard one vendor say anything negative about another vendor. I love that! If someone runs out of an item, then they know where to send you so you can get it from someone else. Unlike the corporate world, they are not out to compete with each other, but to help each other. I hope that I have convinced you to go to your local farmer's market. In fact I hope that you come and visit me and the other vendors at the first farmer's market of our season. Well you are not too shabby yourself! :-) Thanks for the kind words. I may just have to start selling my Beef Spice Rub as well!